"I'd make a White Stripes record right now. I'd be in the White Stripes for the rest of my life." The chance of the White Stripes reuniting appear to be as sadly slim as ever, but at least Jack White is making the cause of the rockers’ continued absence a little bit clearer. White recently told NME there’s “absolutely no chance” of his old band getting back together. “I’m not the kind of person that would retire from baseball and come out of retirement the next year,” he was quoted as saying. 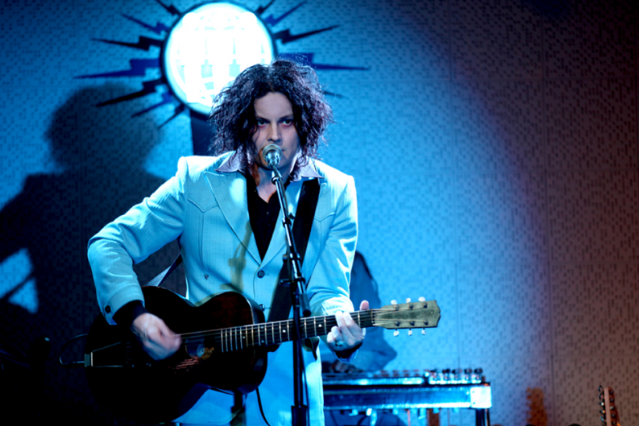 White’s comments come as he gets set to release his solo debut, Blunderbuss, on April 24, following a wonderfully playful media barrage that has included an insane video and the launch of 1,000 helium balloons carrying flexi discs pressed with an otherwise yet-to-be-released song. The White Stripes issued a statement finalizing their breakup in February 2011. Their last public performance came on the final episode of Conan O’Brien’s Late Night, in 2009, and they played their final show in Southaven, Mississippi, in 2007, before scrapping the rest of the tour due to Meg’s “acute anxiety.” It’s a shame that anxiety probably won’t be diminished by becoming publicly known as the instigator in the breakup of a late, great band.